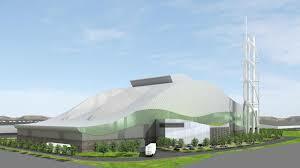 Cardiff council is proposing a scheme to heat public and commercial buildings across Cardiff using energy generated from Viridor’s Trident Park energy recovery facility (ERF). The cabinet is not set to review the proposals to develop the district-heating network in parts of Cardiff Bay and the city centre, which could cost up to £26.5m. According to the authority, buildings that connect to the network would no longer need to use gas to heat their property so reducing energy bills and the city’s carbon emissions. Trident Park ERF currently has contracts to burn non-recyclable waste from nine local authorities in South East Wales, including Cardiff. 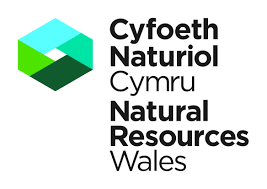 An Outline Business Case has been developed to evaluate the project, based on a detailed study funded by both Central and Welsh Government, the council said. Trident Park Energy Recovery Facility currently burns non-recyclable waste for two council partnerships: Prosiect Gwyrdd involving Caerphilly, Cardiff, Newport, Monmouthshire and Vale of GlamorgancCouncils and the Tomorrow’s Valley Partnership involving Rhondda Cynon Taf, Merthyr Tydfil, Blaenau Gwent and Torfaen Councils. Operated and owned by Viridor, the plant currently produces 30MW of electricity, enough energy to power 50,000 homes. When the facility was built it was designed so that it could produce both heat and power. When heat is used in addition to the electricity generation process – it can significantly increase the efficiency of the plant, the council said. According to the council, Viridor’s plant could contribute 85% of the heat required for the heating network.